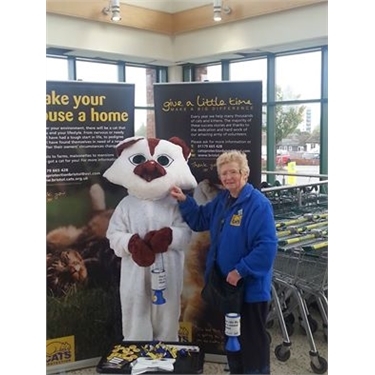 Thank you to the shoppers at Morrisons in Hartcliffe on Saturday where we raised £106.83. People also kindly donated a lot of cat food and biscuits to help feed the kitties in our care. Thank you also to Ryan King for taking this picture of our volunteer Lucilla and Suki the cat.